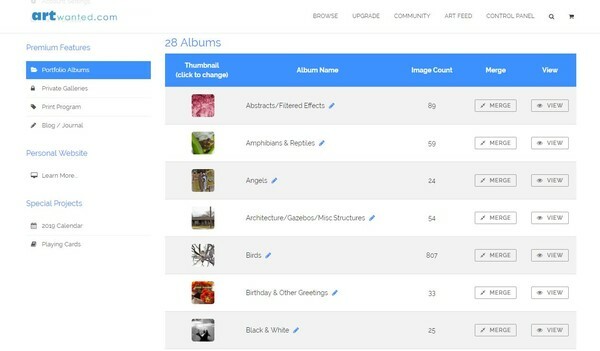 One of the features of our Premium Membership is the ability to group your art/photos into Portfolio Albums. We have just released a few minor updates to the page where you manage your portfolio albums. The biggest change is the ability for you to now choose your preferred thumbnail image for each portfolio album. To do this, simply go to the PORTFOLIO ALBUMS section in your control panel and click on the current thumbnail image of your album. You will be presented with thumbnails from all the images in that album and by clicking on an image, it will set that image as your default thumbnail for that album. Have fun with these new changes!